The Boston Red Sox beat the New York Yankees on Friday in Game 1 of their playoff series. But I’m no fan of either team, so let’s remember the year 1977 when the Twins rolled into Fenway Park for a doubleheader and blew the doors off the place. Of course, I was too young to know anything about this series at the time, but I learned of it after reading about former Twin Lyman Bostock in a Strib column by Patrick Reusse. Reusse reflected on his memories of Bostock and the Twins, including that doubleheader in May 1977. The Twins that year led the majors in team batting average and runs scored and lived up to it by smashing 35 hits in two blowout victories. In Game 1, the Red Sox never knew what hit them because the Twins scored 13 runs on 24 hits.They also scored in eight of nine innings and blasted the Sox with 10 extra-base hits: six doubles, including two off Bostock’s bat, two triples and two home runs. Larry Hisle and Butch Wynegar had three hits apiece, while Roy Smalley and Lyman Bostock each had two hits. 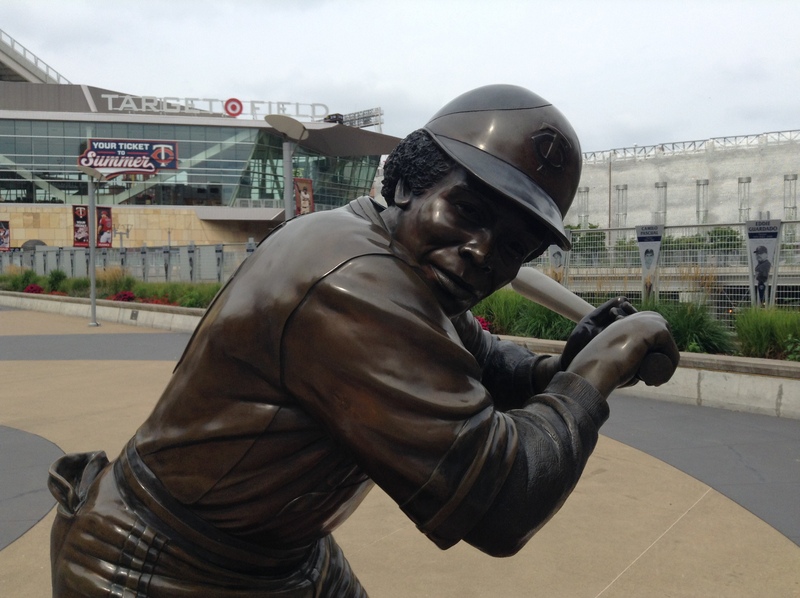 But it was Rod Carew who put on a show. He went 5-for-6 at the plate in the first game and raised his average to .384. Carew would go on to win the AL MVP award for flirting with .400 for most of the season until finally settling at .388. In Game 2, the Twins again drilled Red Sox pitching for 11 more hits and a 9-4 win. Carew collected eight hits in two games. 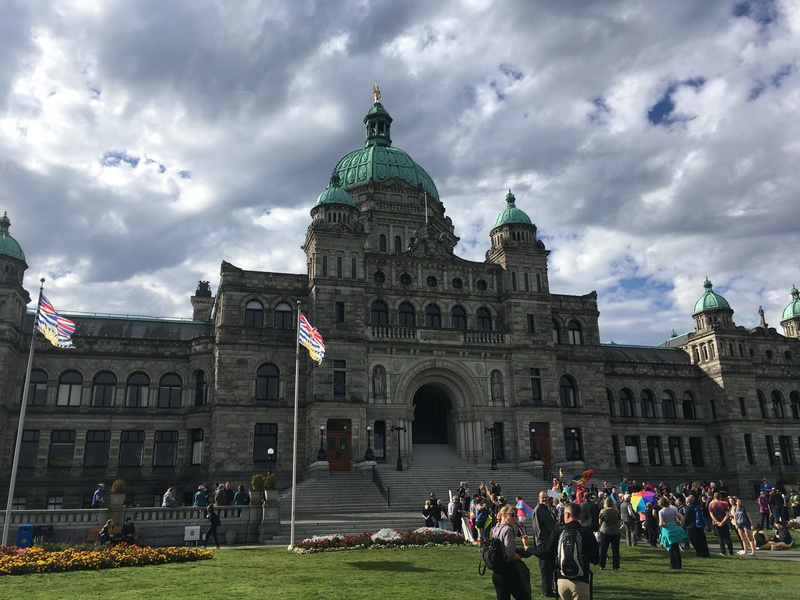 Victoria is the capital of British Columbia, which means it’s home for the provincial government and this parliament building. A war memorial on the parliament building grounds. 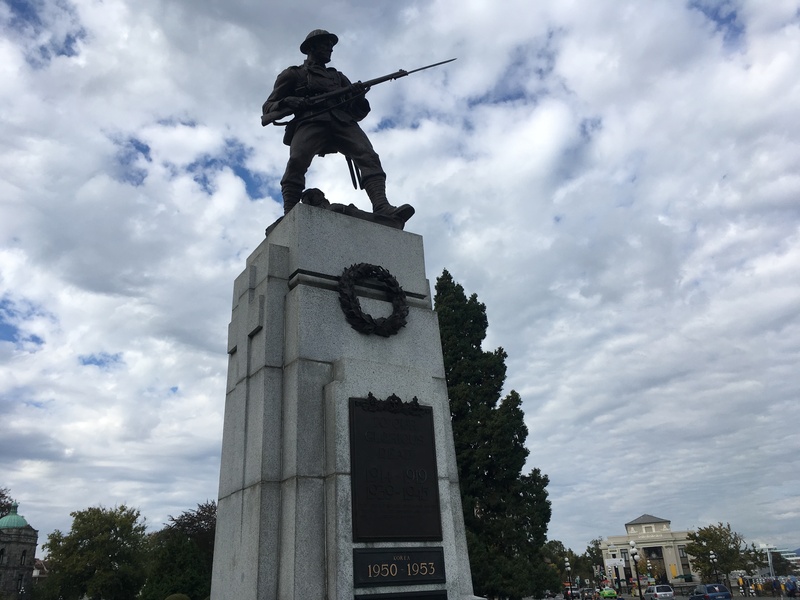 Many of you, I’m sure, are aware that Canadians served in World War I and World War II. But how many of you know that they also fought in Korea and in Afghanistan until 2014? During our last day, local law enforcement gathered on the parliament grounds to remember those lost in the line of duty. 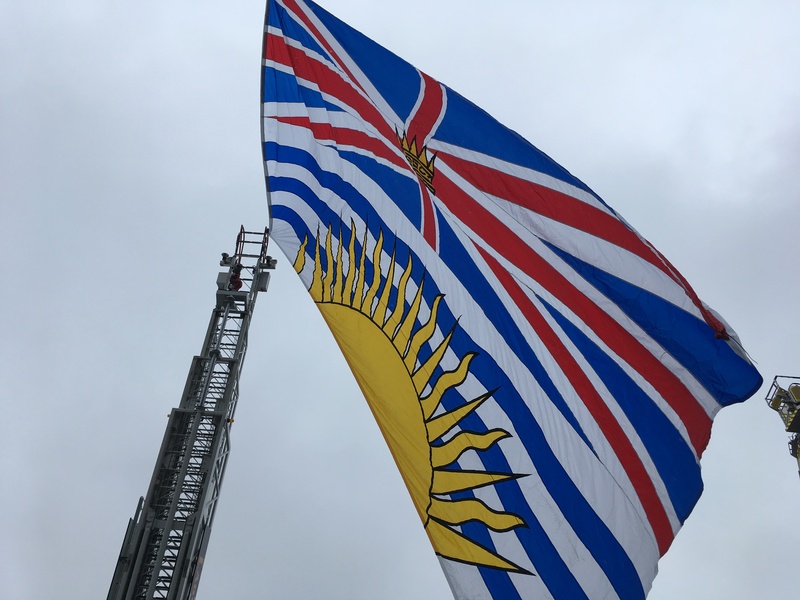 Two huge flags were strung between fire trucks for the gathering, including the flag of British Columbia. 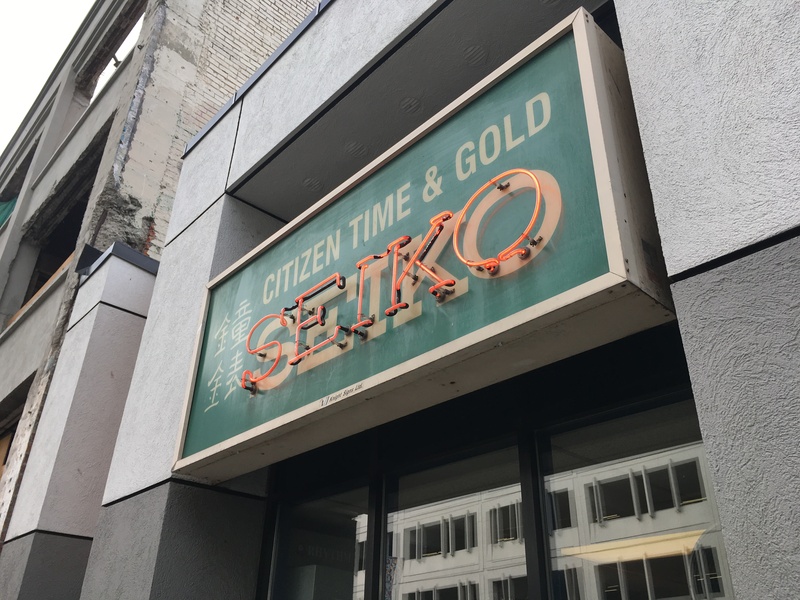 The watch repair business still exists. 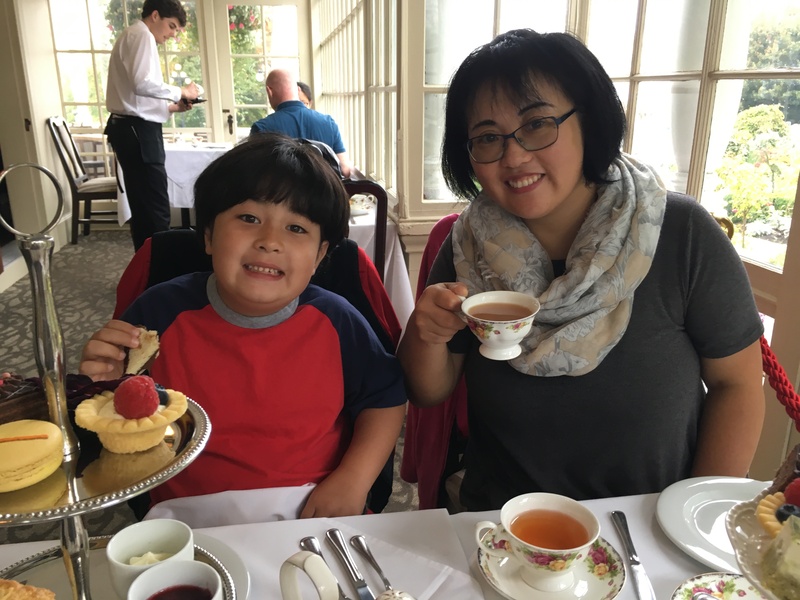 Afternoon tea is a big deal for tourists, so we took part at the Pendray Inn. Yes, we enjoyed our tea, cakes and scones. 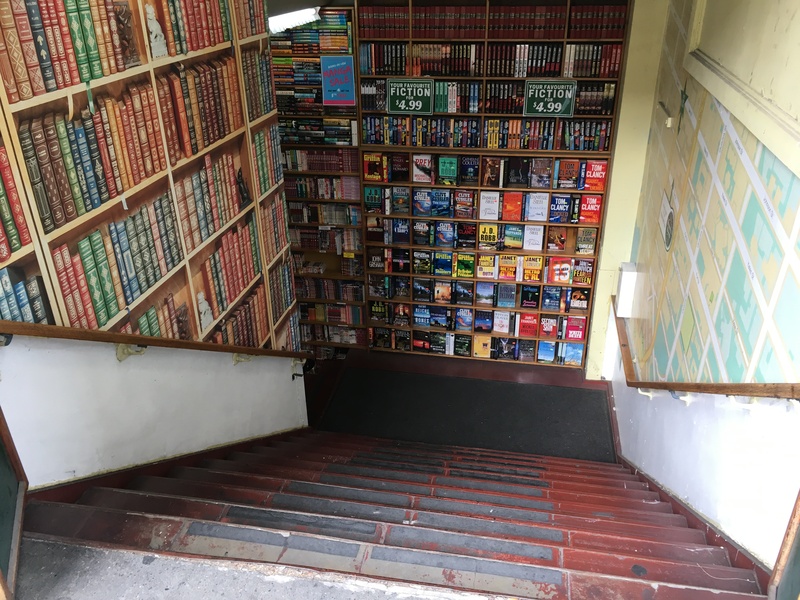 Intrigued, I discovered books underground at Books on View. 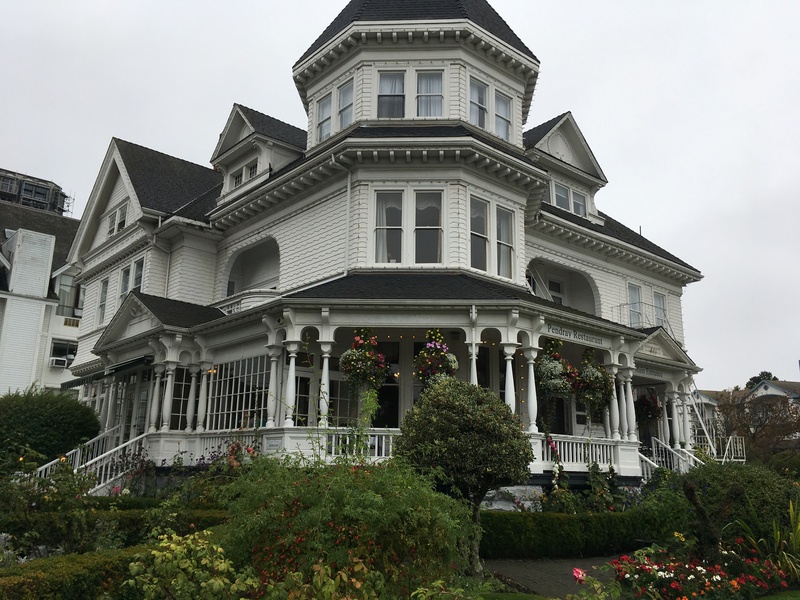 What brought us to Victoria? 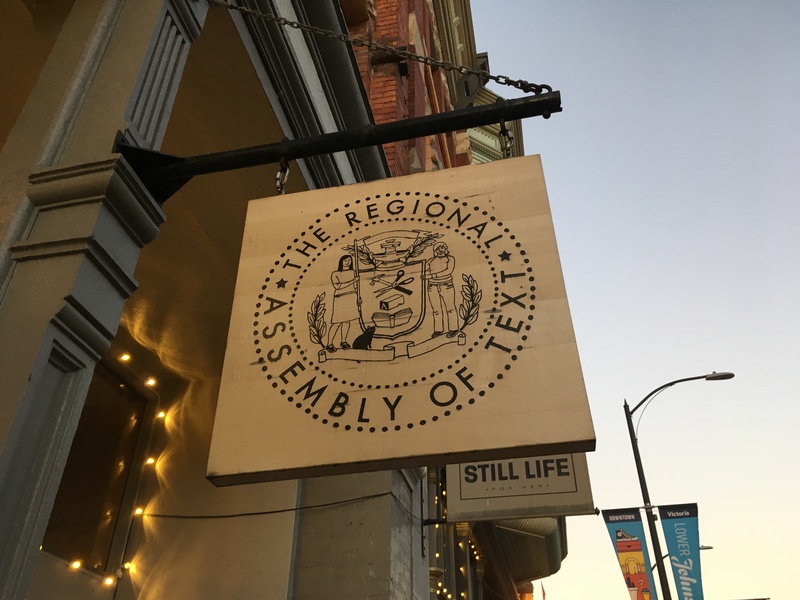 The Regional Assembly of Text, a letter-writing business where you can pick out a typewriter, stationery and envelopes and write letters. I tried three typewriters and wrote that many letters in about an hour. I will be back. They also have a store in Vancouver, B.C.